Thank you to NAKANO for sponsoring this post! Our Summer here has been a hot one! It’s been a record low for rain with a grueling consistent 85-95 degree weather (for us Washingtonians that’s grueling). But it sure has done absolute wonders for our garden! In addition to those beauties below, we’ve got beets, kohlrabi, collard greens, carrots, green beans, black eyed peas, crookneck squash, radishes, 10 different tomato varieties, sweet corn, acorn squash, spaghetti squash (42 of them, yikes! ), pumpkins, brussels sprouts, strawberries, celery and we’ve actually got watermelons and cantaloupes growing right here in western WA! Summer with its abundance of fresh fruits and veggies provides plenty of excuses to stay healthy during the hot months. Summer isn’t over folks, so let’s celebrate! 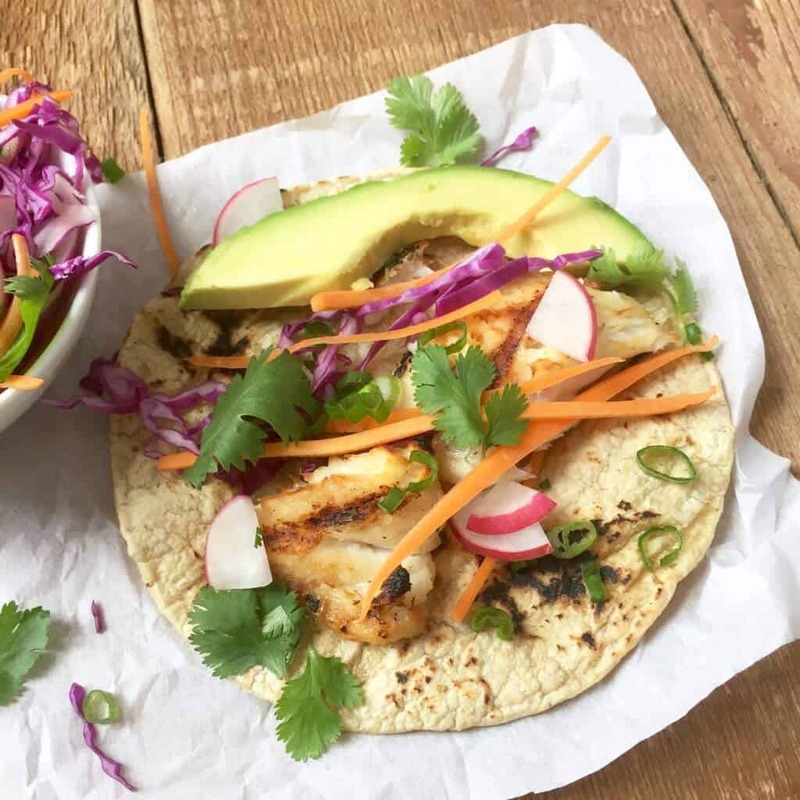 Here are a few tips for a healthier Summer by registered nutritionist Dawn Jackson Blatner along with her simple and tasty recipe for Asian-style Grilled Fish Tacos. 1. Stay hydrated. Drink plenty of water throughout the day to stay hydrated and keep skin looking its best. Plus, hydration is a secret weapon for staying focused and energized. 2. (If you’re a tea drinker) Drink green tea rather than sweet tea. Sweet tea has a lot of sugar and calories, which is the last thing you want weighing you down in the summer. Instead, drink unsweetened green tea which is full of healthy compounds, like catechins, that give your metabolism a boost. 3. Make smoothie pops. Drinking smoothies is all the rage, but in the summer, freeze your favorite fruit and veggie smoothies into popsicles for a wholesome and refreshing treat. 4. Snack smarter. Keep cut-up seasonal vegetables such as cucumbers, bell peppers, zucchini and carrots in resealable containers for easy grab and go snacking. Splash on NAKANO Rice Vinegar to all of your veggies for a super flavor boost. 5. Stay balanced. Fill your plate with half veggies, a quarter lean protein and a quarter of whole grains for a balanced meal. This will keep energy levels up so you can enjoy more summer fun. 6. Grill fruit for dessert. When your sweet tooth needs a treat, grill seasonal fruits like peaches, plums and pineapple for dessert. The heat of the grill brings out even more of fruit’s natural sweetness. 7. Enjoy light, but flavorful meals. Like today’s recipe for Asian-style Grilled Fish Tacos. 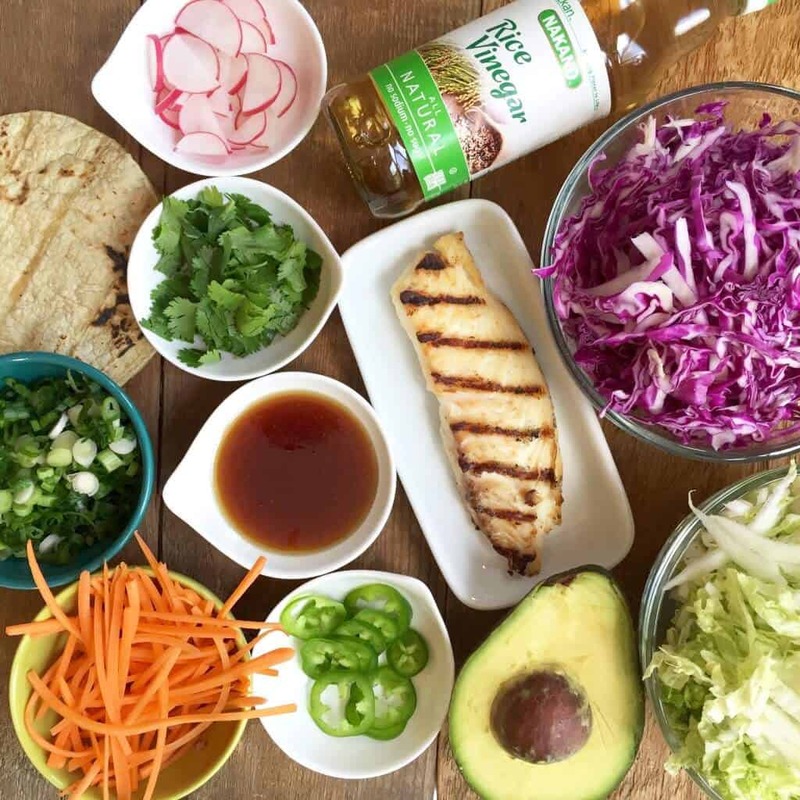 This healthy Summer recipe showcases fish and a vibrant array of veggies, all brought together with a flavorful vinaigrette featuring NAKANO rice vinegar! When it’s hot outside spending a lot of time over the stovetop or in front of a hot oven isn’t fun. These tacos require just a brief grilling time for the fish and prep time is minimal. Just chop the veggies and grill the fish and whisk together delicious vinaigrette with the help of NAKANO’s all-natural rice vinegar. My husband loooooves fish tacos and grilling the fish gives them such a fabulous touch. But if you don’t have a barbecue, you can easily grill the fish in the oven. To assemble, pile the fish on the taco shells with some slaw and avocado and serve with some extra slaw on the side. That’s it, a very simple, tasty and healthy Summer meal. And now for our awesome GIVEAWAY! One lucky winner will receive an entire set of seasoned vinegars from NAKANO! Superbly delicious on salads, vegetables, in marinades and vinaigrettes, and so much more! All you have to do is leave a comment below answering this question: What do you do to stay healthy during the Summer? That’s it! One winner will be randomly selected and notified via email. If the winner hasn’t responded within 48 hours a follow-up winner will be selected. (U.S. residents only.) This giveaway ends at Midnight PST on September 2, 2015. *This giveaway is now CLOSED. Congratulations to our winner, Valerie! To grill the fish: Heat the grill to medium-high. Be sure the grates are clean and well-oiled or the fish will stick. Place the fish on the hot grill and grill on each side for 2-3 minutes, depending on the thickness of the fish. The internal temperature of the fish should register between 130-135°F. Let the fish rest for a couple of minutes. Alternately, cook the fish in the oven: Preheat to 450 F, place fish on a lightly greased baking sheet and bake for 10-15 minutes, depending on thickness. To make the marinade: Whisk the NAKANO Rice Vinegar, tamari, honey and sesame oil together in a large bowl. Add the shredded cabbage, carrots, green onions, radish, cilantro and toss to coat. To serve, top the warm tortillas with fish, slaw and slices of avocado. Serve immediately with some extra slaw on the side. *Time saver: Use 4 cups pre-shredded coleslaw mix instead of cabbage and carrots. Disclosure: A special thank you to NAKANO for sponsoring this post and giveaway! Recipe and photos by Dawn Jackson Blatner used with permission. These tacos look so good and I would love to try all those delicious vinegars! During the summer I always make it a point to drink plenty of water. 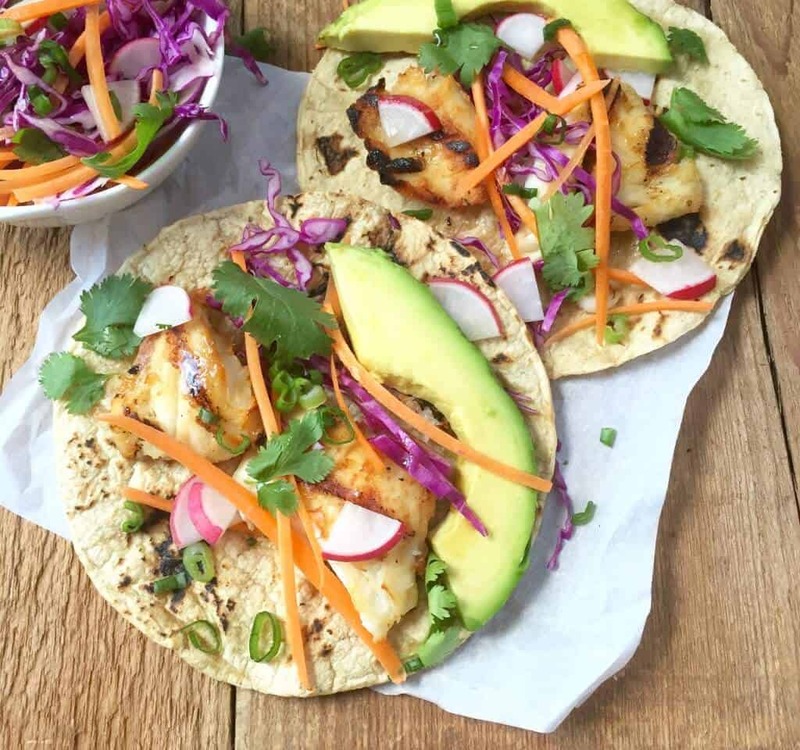 LOVE fish tacos and I seriously envy your vegetable garden! I use rice vinegar regularly but have never tried these NAKANO seasoned ones, they sound so good! During the summer I’m always careful to use sunscreen when I’m outside and I drink lots of water. Fish recipe sounds delicious! To stay healthy during the summer I eat lots of yummy vegetables from my garden and also drink lots of water. I eat as many in season fruit and veggies as possible as well as some exercising. Summer’s my season to get out and moving, plenty of outdoor activities, including gardening. 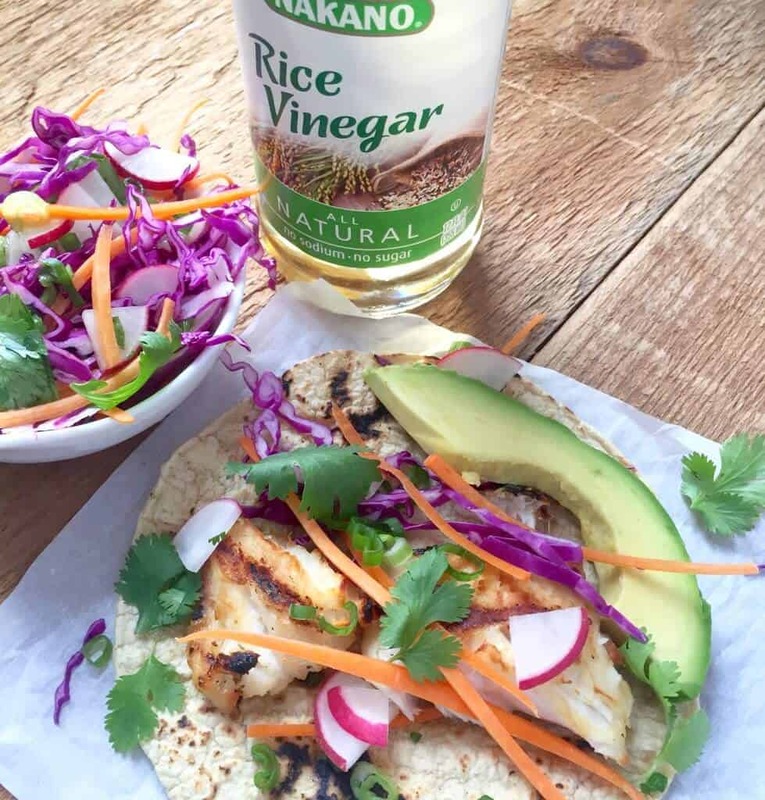 These tacos look great and I’d love to try those rice vinegars! It’s ridiculously hot here in the summers, so I run on my treadmill and experiment with as many vegetable recipes that I can find. Could you provide a little detail on cooking the fish? I’m the least experienced with seafood. Absolutely, Valerie, I just included those instructions! Thank you for the assist, and for the giveaway! You’re welcome, Valerie! :) Thanks for participating! I love anything Asian and regularly use rice vinegar. These NAKANO vinegars look great, would love to try them. During the Summer I do a lot of outdoor recreational activities to stay fit (biking, rafting, golfing, kayaking). I do a lot of baking at home and exercise! Oh yum! Those tacos look amazing. I stay healthy during the summer by eating all of the fresh veggies from our garden and doing a lot of grilling! These look so good, fish tacos of any kind have always been a favorite! I’d love to try those vinegars in some vinaigrettes and marinades. I try to stay healthy through the summer by being active, eating fruits and veggies, and drinking lots of water. This summer I’m keeping healthy with delicious fruits and veg from my garden and running after our 1 1/2 yo old granddaughter! I can’t wait to try pickling some beets. ? I have a very active 5 yo son. Between soccer and karate practices… there’s no time to sit on a sofa and veg. Plus, we take trips to the dog park with our pups and walk around the neighborhood. I take my dogs on hikes. I live in washington so when summer comes everyone takes advantage of nature. These tacos look awesome! Im definitely going to make these. I stay healthy by eating a lot of fruit and salads. I also drink a lot of water and try new lite recipes. Summer is so enjoyable; I like to work in the garden or drive out to the coast to take a walk along the beach. The winter months are so long here, so you have to get out and about as soon as the warm weather arrives. I get on the water! Paddleboarding, kayaking and swimming keep me cool on hot days and keep me in shape. summer in Houston is hot hot hot!! We do our daily walk early in the morning to beat the heat. We drink lots of water and our evening suppers consist primarily of salad….light, fresh, and no hot stove. I drink plenty of water, have light, balanced meals (like the above tacos), and enjoy the vegetable/fruit bounty of the summer. I often use Nakano vinegar as a splash on salads, in dressings and marinades, love it! To stay healthy, I make sure to drink water and eat right daily as well as mix up my exercise routine. 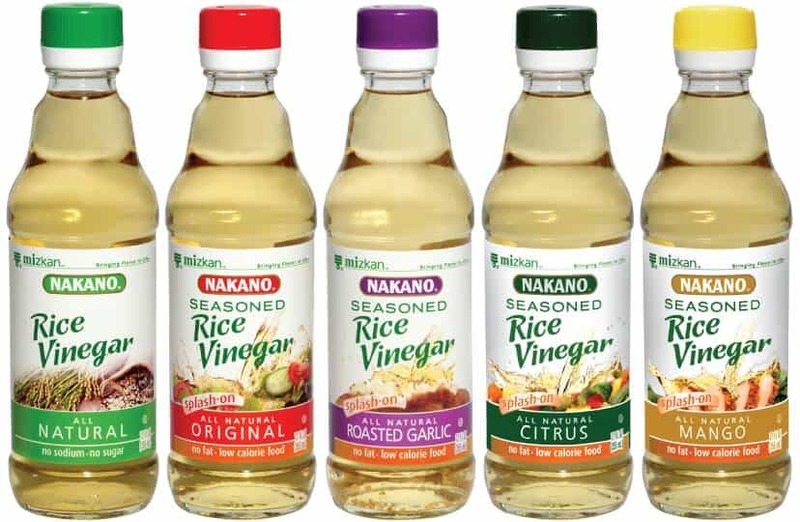 Our family loves the Nakano vinegars and regularly use them in cooking, and salad dressing to make our eats more interesting. I love fish tacos ,this recipe looks great. I have never used NAKANO RICE VINEGAR but will try since recipes looks tasy. 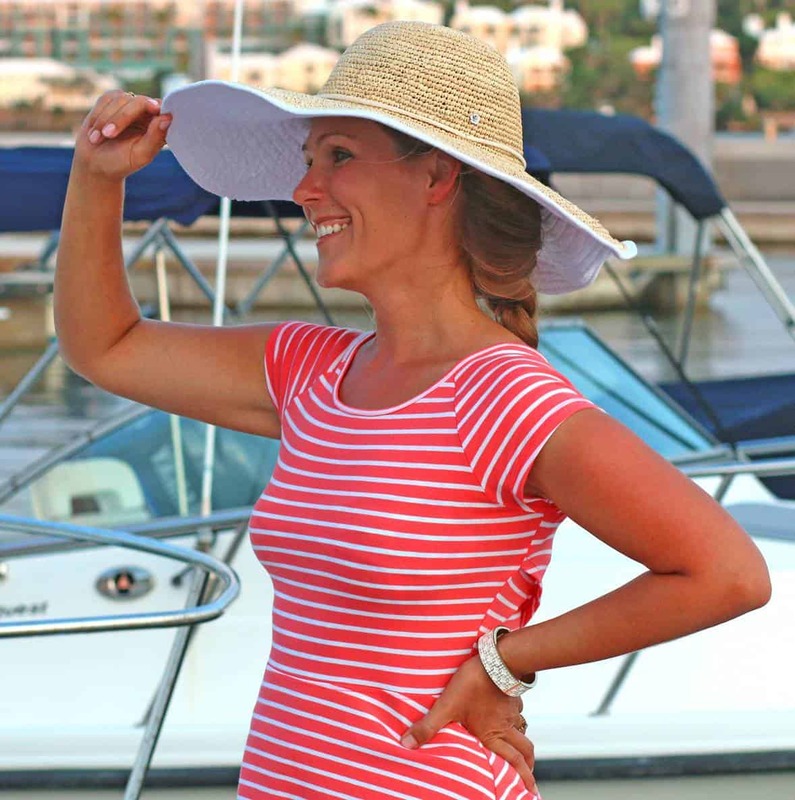 During summer I used hat, sunscreen and carry bottled lemon water with me and for my kids. I stay hydrated with lots of water with fresh squeezed lemon. Have also begun an early morning exercise that I must continue when it’s dark at 6 am. Eat lots of salads with a little protein. The Asian inspired tacos look wonderful. TO STAY HEALTHY DURING THE SUMMER: I DRINK LOTS OF WATER AND PARTICIPATE IN GROUP 5K’S, EXERCISING IS ALWAYS FUN WITH A FRIEND. I ESPECIALLY ENJOY THE RUNS WITH A CAUSE. THIS SUMMER I’VE REALLY NEEDED TO FOCUS ON PROTEIN. I TRY TO GET AS MUCH LEAN PROTEIN AS POSSIBLE BUT ALSO USE HIGH PROTEIN SHAKES. I drink plenty of Tanquerey and Tonics with Fresh Lime. They also taste great with fish tacos! What do you do to stay healthy during the Summer? Stay hydrated, eat lots of fresh veg (I’m getting an Inspiralizer!) and spend time with friends. Health is mental as well as physical, and I think people forget that a lot of the time. My hubby and I have been going on trail runs together (first time ever this summer)! Love fish tacos! These look delicious! Love fish tacos and these vinegars! Never had an Asian taco and I must remedy that. I also need to stock some of those vinegars. Thanks! Wow! An impressive haul from your garden. I was in your state earlier this month and I couldn’t believe how hot it was. These fish tacos looks delicious and I love the Asian twist. These vinegars look incredible too. An asian fish taco is something I’ve never had. I’m intrigued. Looks delicious! I also haven’t had an Asian taco and need to change that! These sound absolutely divine! Pinned, too! I try to eat fresh, in-season produce, drink lots of water, and get outside as much as possible during the summer. I’d really love to try cooking with these vinegars. Thanks for the chance to win! I try to eat as many fresh vegetables and fruits as I can, and drink lots of water and try to be active! I stay healthy by biking to work! Love this twist on fish tacos, I’ve never thought to do them this way! I love fish tacos!! These look so great. These look delicious! I love grilled fish and look forward to trying out your marinade! Those tacos look incredible. I haven’t tried the nakano brand rice vinegar yet, I will have to look for it. We use rice vinegar several times a week! i am so glad that the weather is getting cooler. I hiked in Phoenix this Sumer and got dehydrated! These tacos look like a dream! Light and refreshing! I enjoyed reading your post and love how you included so many veggies in your recipe! I love me some tacos. Great combo! Well I am so jealous! I thought that my garden would do amazing in these hot temperatures, but it was a total bust! I’m thinking I probably watered way less than I needed to. Oh well hopeful for next year! And these fish tacos look fabulous by the way! Oh goodness! These tacos look so fresh and flavorful….not to mention gorgeous! I would love these! I just found your website while looking for an interesting but simple fish taco. I love your breezy style and your recipe has struck just the right chord, so I cna’t wait to try it. In answer to your question about keeping healthy during the summer, I started to laugh because I still teach during the summer and it is so exhausting for someone my age. (ahem, I don’t care to give out a figure, but think your granny.lol) The way that I manage to teach my college freshmen who don’t want to be in a classroom on a fine June day is to have them read exciting essays about provocative topics such as using GMO’s or discovering how fast food as burdened our agriculture system. Such fun arguments keep everyone including me interested and excited about learning. Nothing is healthier than keeping your brain stimulated. As for keeping healthy with food, summer is the best time to enjoy many a vegetable dinner what with all the fresh greens, the corn just coming in, the tomatoes just ripening, and the squash filling all corners of the gardens everywhere in town. That’s my answer to keeping healthy – finding those farmer’s markets and enjoying the fresh produce as it becomes available. Using different vinegars would be so lovely as I prepare those fresh vegetables, so I am hoping my reply wins me your wonderful vinegar prize.lol. Hi Kimberly, I will be attempting these tacos tomorrow. I have an idea- I think they might benefit from a little creme fraiche as a topping. What do you think? Definitely, Valerie! By the way, this recipe is actually the only one on my blog that I didn’t develop myself – it’s from a nutritionist who developed it for NAKANO. Some creme fraiche sounds like a terrific addition.